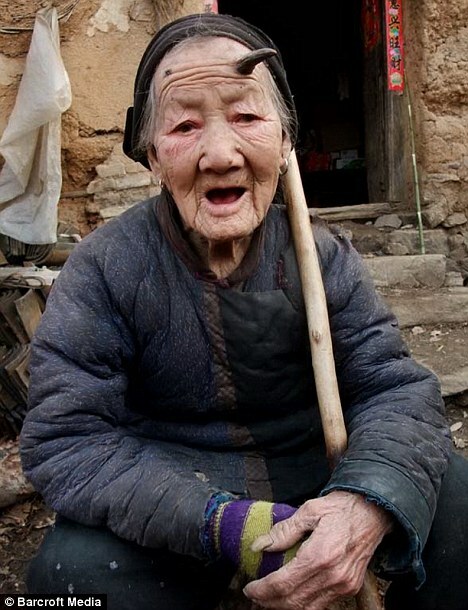 An elderly Chinese woman has stunned her family and fellow villagers by growing from her forehead a horn than resembles a goat’s. 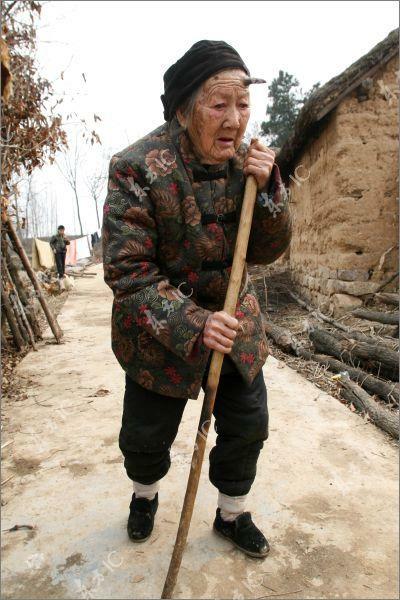 Grandmother Zhang Ruifang, 101, of Linlou village, Henan province, began developing the mysterious protrusion last year. Since then it has grown 2.4in in length and another now appears to emerging on the other side of the mother of seven’s forehead. The condition has left her family baffled and worried. Her youngest of six sons, Zhang Guozheng, 60, said when a patch of rough skin formed on her forehead last year ‘we didn’t pay too much attention to it’. ‘But as time went on a horn grew out of her head and it is now 6cm long,’ added Mr Zhang, whose eldest brother and sibling is 82 years old. 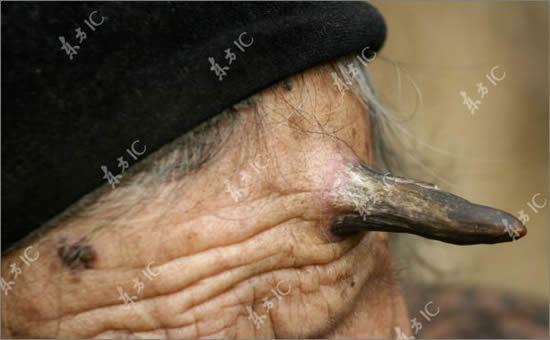 Although, it is unknown what the protrusion is on Mrs Zhang’s head, it resembles a cutaneous horn. This is a funnel-shaped growth and although most are only a few millimetres in length, some can extend a number of inches from the skin. 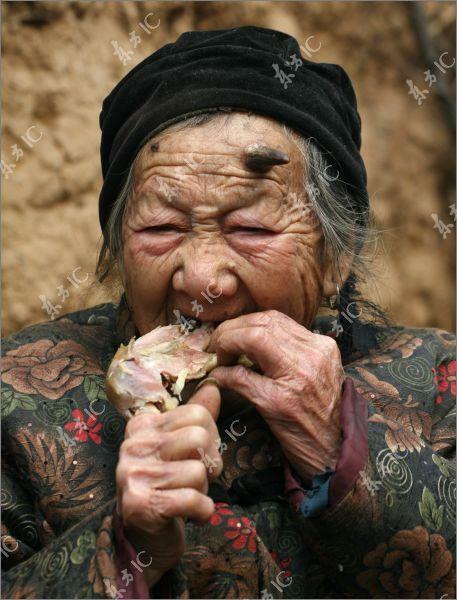 Cutaneous horns are made up of compacted keratin, which is the same protein we have in our hair and nails, and forms horns, wool and feathers in animals. They usually develop in fair-skinned elderly adults who have a history of significant sun exposure but it is extremely unusual to see it form protrusions of this size. The growths are most common in elderly people, aged between 60 and the mid-70s. They can sometimes be cancerous but more than half of cases are benign. Common underlying causes of cutaneous horns are common warts, skin cancer and actinic keratoses, patches of scaly skin that develop on skin exposed to the sun, such as your face, scalp or forearms. Cutaneous horns can be removed surgically but this does not treat the underlying cause.